What I ended up learning from redesigning my bedroom, is that interior design is a lot like picking out your outfit. You want to find a focal point, and let the rest of the room (like your outfit) stand back a bit but compliment the piece you want the focus on, like that spectacular faux leather jacket, or those killer bright blue heels. 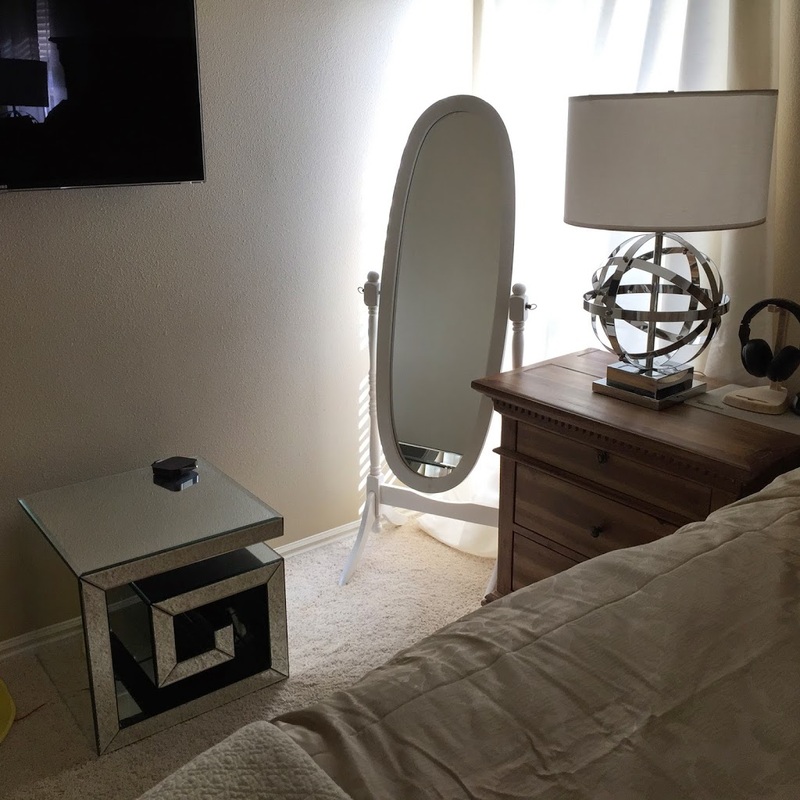 Although like fashion, I’m drawn to very unique, statement-making pieces, such as this beautifully designed mirror, and these incredibly fun and unique pinnacle lamps, I kept my whole bedroom neutral with the colors, so as to not overwhelm the eyes. This way, the eyes fall on the focal point, the bed, but can slowly drift around the room and appreciate the truly unique, beautiful pieces and furniture, but without overwhelming the on-looker. I’m pretty much done with my bedroom now except I would like some beautiful decor to sit on top of my dresser. ( I currently just have some perfume bottles sitting on top, in the center). I’m looking for one or two eye-catching pieces that stay with my neutral, silver, mirrored theme. Maybe a bit vase, or some silver candlesticks, or something of that nature. I like taking my time when decorating to happen upon the pieces I want to add to my room. One lesson I’ve learned with re-decorating, is that you do not want to rush and buy all your pieces just so your room will be complete. Take your time and wait for the right pieces (art, lamps, decor) to find you. Then you will truly love each piece that completes your beautiful room. 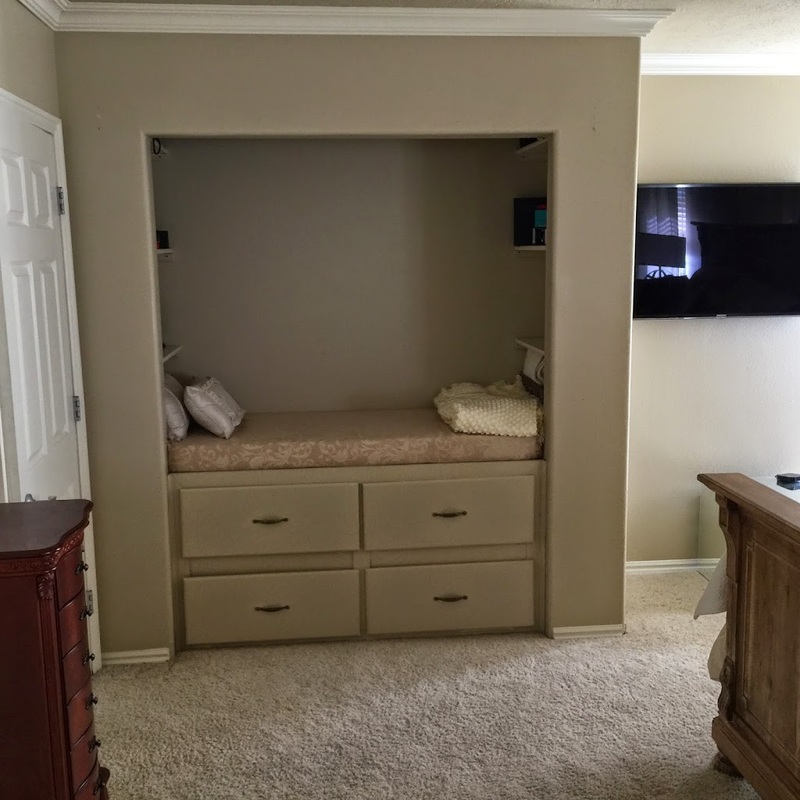 What do you think of the re-design of my Master Bedroom? Is it your Style? What would you do differently? What pieces do you think would look great sitting on top of the oversized dresser? 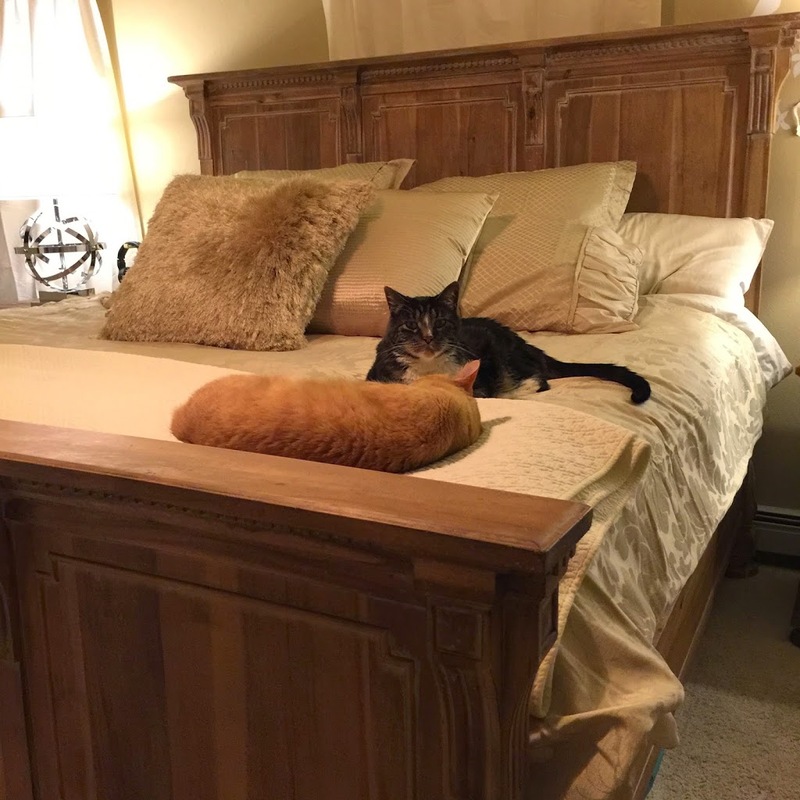 i love the cat on the bed,… and of course everything else…. I like the ceiling fan, so pretty and hate air conditioning anyway. Very nice. Kitty completes the look! Hehe I really like your kitties!!! Plus the room looks great, love the details all the mirror stuff! I wish my bedroom looked like this! 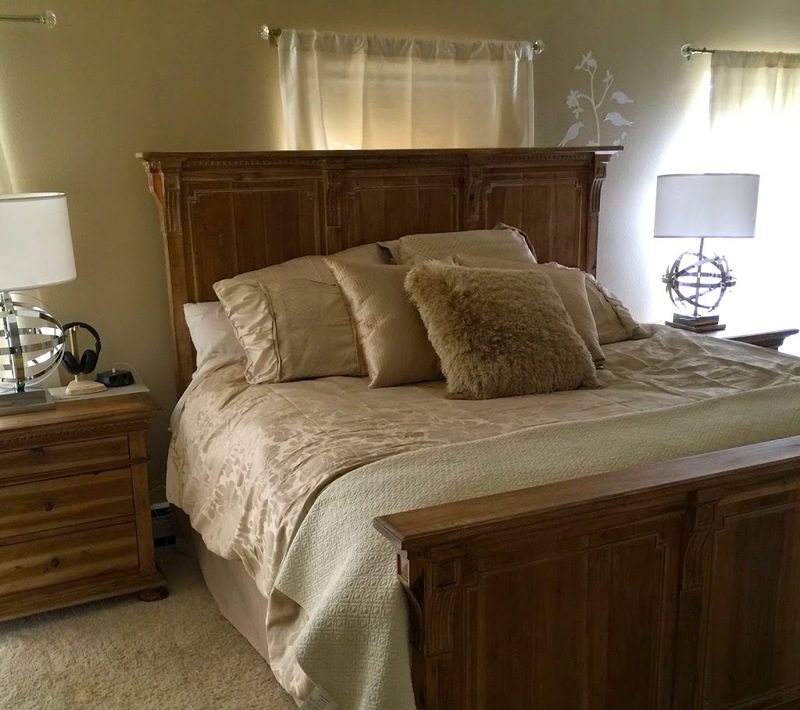 love your new bedroom look! It looks gorgeous! I love the look. And I love your cats! WOW! Everything looks so gorgeous!! I love it!! It looks really great!! Definitely a more modern look than before and the mirrors are a nice touch! I really like the lamps and the mirror! I really like the neutral tones so you can accessorize with any color. 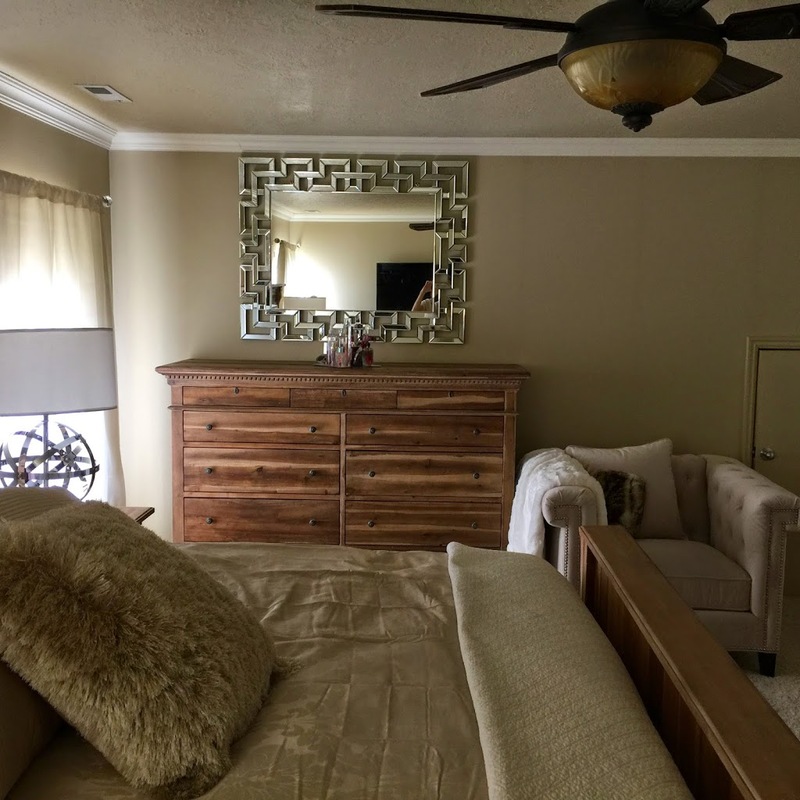 I love the new look of your master bedroom! I love the bed frame and the color of it! The ceiling fan is really cool and the mirrors are awesome! 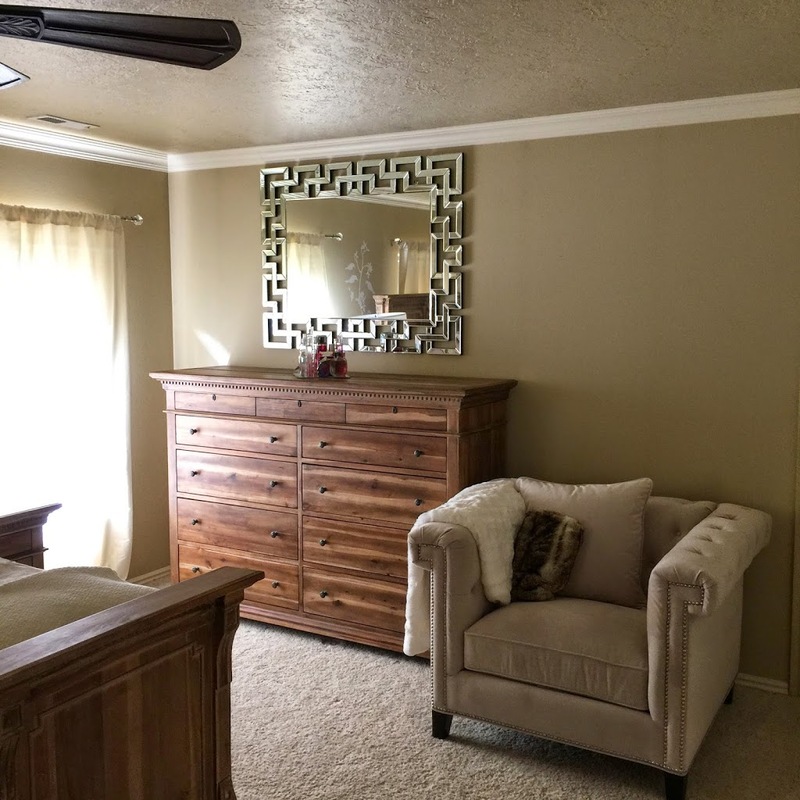 I love how you used nice, neutral colors! Nice and calming! I think mirrors make the space look bigger and who doesn’t love mirrors? I wish I could redo my bedroom like yours, it’s so pretty! 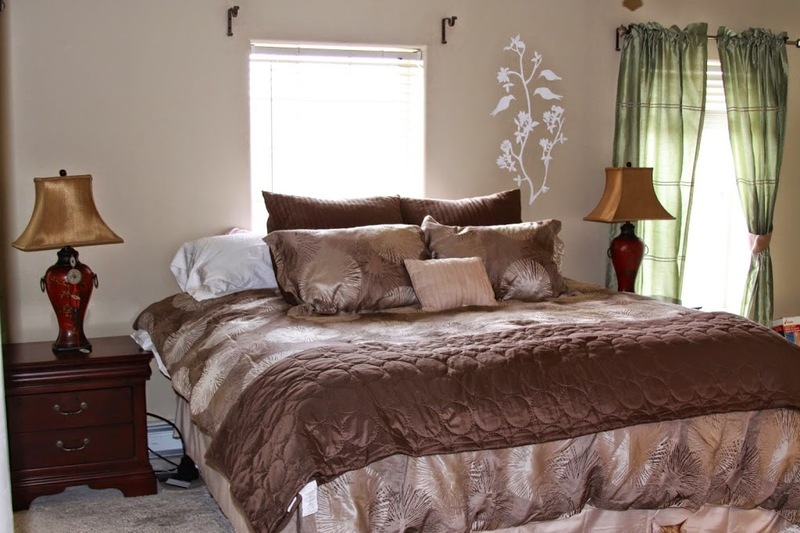 I love the bed, the furniture, the mirrors, the ceiling fan, the bedding and all the accessories! I like your style! 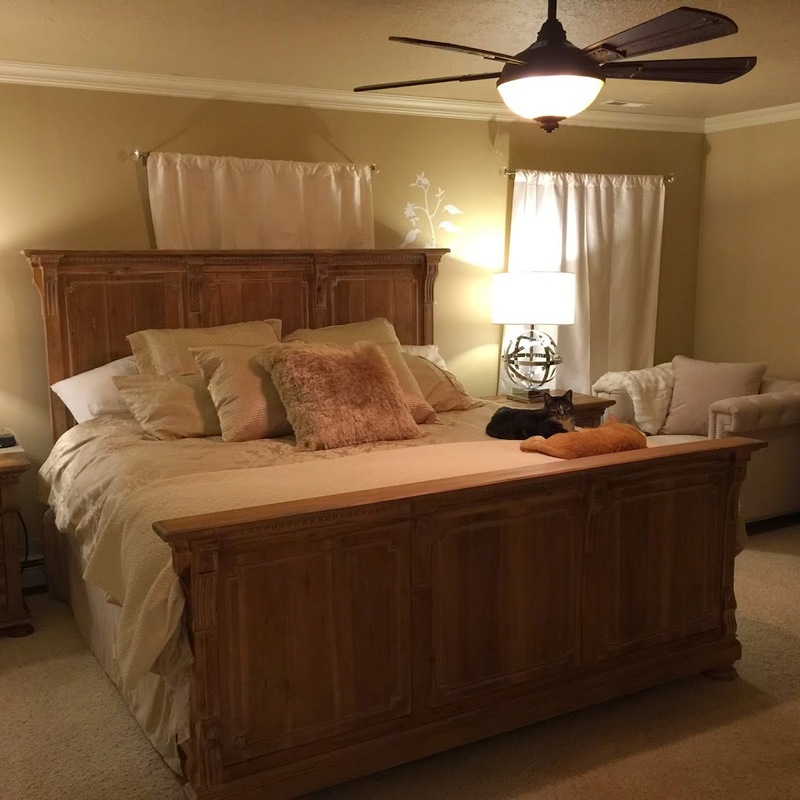 Your bedroom looks so relaxing! Great job on the redecorating!! The before and after pictures are amazing! I love the furniture and the accessories!! The mirrored cubed end table is cool and different, love it!